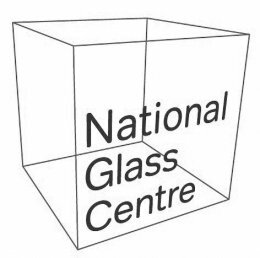 National Glass Centre is renowned as a national centre for excellence in the research, teaching, production, exhibition and enjoyment of contemporary glass. As a visitor centre we attract around 200K visitors per year. The Glass Studio is an internationally recognised bespoke hand-made glass production centre, we are recognised as world leading in the research and teaching of ceramics and glass delivering BA, MA and PhD's in this area. The flexibility of the Glass Studio team, access to incredible glass production facilities and abundance of creative individuals has enabled us to undertake many highly bespoke design, prototyping and production commissions for corporate clients. This includes William Grant (Glenfiddich Whisky), Spey Whisky, Victoria Beckham, Thomas Heatherwick, AkzoNobel, Age UK, Royal Victoria Infermary, NR Children's Hospital and Newcastle Eye Centre. Our world class production facilities are available for hire and are highly sought after by professional glass and ceramic artists who require access to facilities they may not have in their own studios. This includes 4 glass furnaces, wter-jet cutter for glass, 40+ kilns, silk screen facilities for printing onto glass and assorted cold working, cutting and polishing studios. We specialise in assisting artists and creatives with the production of glass artworks which they may be unabke to produce themselves We have worked with many artists including Susan Hiller, Vanda Harvey, Liliane Lijn, Bruce McClean, William Tillyer, Philip Glass, Magdelena Odundo and Halima Cassell to name a few.